It's not always clear what can and can’t go in kerbside recycling bins. Here’s our guide on some of the most commonly mis-recycled items. Unsure about adding an AA battery or broken drinking glass to your kerbside recycling bin? Some of us don’t stop to check, but throw it in and “wish-cycle” it. However, adding even one non-recyclable to your bin can mean the whole load goes to the landfill. Some items wrongly added to recycling bins are hard to understand – thoughtless additions include used disposable nappies, broken-down engine parts and even a pig’s head. But this is the exception, according to Waste Management Institute chief executive Paul Evans. “Most contamination is from people who are trying to do the right thing,” he says. What makes things harder is that one council will happily accept an item, while the next council over won’t. 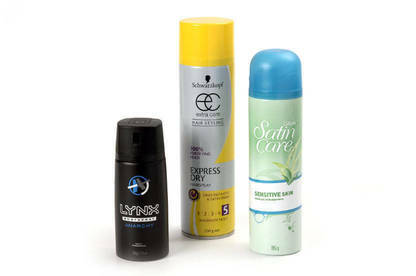 Adding to the confusion, some of this rubbish – particularly aerosol cans and waxy cartons – will feature a recycling logo. One item here and there may not seem like much. But each year, councils sift out thousands of tonnes of non-recyclables from kerbside collections. All must be sent to the landfill. Unfortunately, any recyclable items contaminated by the non-recyclable – from a full nappy to rotten food – must also be chucked. To help you sort what goes where, here’s our guide on some of the most commonly mis-recycled items. Accepted by: Ashburton, Auckland, Buller, Carterton, Christchurch, Clutha, Dunedin, Gisborne, Gore, Grey, Hastings, Hauraki, Hurunui, Hutt, Invercargill, Mackenzie, Manawatu, Masterton, Matamata-Piako, Napier, New Plymouth, Opotiki, Otorohanga, Palmerston North, Porirua, Queenstown Lakes, Rotorua Lakes, Selwyn, Southland, South Taranaki, South Waikato, South Wairarapa, Stratford, Tasman, Thames-Coromandel, Timaru, Waimakariri, Waipa, Westland, Whakatane, Whangarei. Declined by: Central Hawke’s Bay, Central Otago, Hamilton, Horowhenua, Kaikoura, Kawerau, Marlborough, Nelson, Ruapehu, Tararua, Taupo, Waimate, Wairoa, Waitomo, Wellington. Declined because: Aerosol cans are pressurised, and could cause damage or injury if punctured during processing. If your council doesn’t accept them, they’ll have to go in the general rubbish bin. Accepted by: Auckland, Buller, Carterton, Central Hawke’s Bay, Central Otago, Clutha, Dunedin, Gisborne, Gore, Hamilton, Hastings, Hauraki, Hurunui, Invercargill, Kaikoura, Kawerau, Manawatu, Marlborough, Masterton, Matamata-Piako, Napier, Nelson, Opotiki, Otorohanga, Palmerston North, Porirua, Queenstown Lakes, Rotorua Lakes, Southland, South Taranaki, South Waikato, South Wairarapa, Tasman, Taupo, Thames-Coromandel, Waipa, WairoaA, Wellington, Whakatane, Whangarei. Declined by: Ashburton, Christchurch, Grey, Horowhenua, Hutt, Mackenzie, New Plymouth, Ruapehu, Selwyn, Stratford, Tararua, Timaru, Waimakariri, Waimate, Waitomo, Westland. Declined because: These can be too small for some of the machines that sort recyclable items, so they won’t be sorted properly. This can contaminate other forms of recycling. If your council doesn’t accept them, try a local scrap metal dealer. Accepted by: Ashburton, Central Otago, ChristchurchD, Gore, Horowhenua, Hurunui, Invercargill, Kaikoura, Kawerau, Mackenzie, MarlboroughB, Opotiki, SelwynD, Southland, Waimakariri, Whakatane. Declined by: Auckland, Buller, Carterton, Central Hawke’s Bay, Clutha, Dunedin, Gisborne, Grey, Hamilton, HastingsC, Hauraki, HuttC, Manawatu, Masterton, Matamata-Piako, NapierC, Nelson, New Plymouth, Otorohanga, Palmerston North, Porirua, Queenstown Lakes, Rotorua Lakes, Ruapehu, South Taranaki, South Waikato, South Wairarapa, Stratford, Tararua, Tasman, Taupo, Thames-Coromandel, Timaru, Waimate, Waipa, Wairoa, Waitomo, Wellington, Westland, Whangarei. Declined because: The bags may jam recycling-sorting machines. If your council doesn’t accept them, soft plastics can be dropped to collection points at supermarkets and other stores. Accepted by: Ashburton, Auckland, Buller, Christchurch, Gore, Invercargill, Kawerau, Southland, Waimakariri, Whakatane. Declined by: Carterton, Central Hawke’s Bay, Central Otago, Clutha, Dunedin, Gisborne, Grey, Hamilton, Hastings, Hauraki, Horowhenua, Hurunui, Hutt, Kaikoura, Mackenzie, Manawatu, Marlborough, Masterton, Matamata-Piako, Napier, Nelson, New Plymouth, Opotiki, Otorohanga, Palmerston North, Porirua, Queenstown Lakes, Rotorua Lakes, Ruapehu, Selwyn, South Taranaki, South Waikato, South Wairarapa, Stratford, Tararua, Tasman, Taupo, Thames-Coromandel, Timaru, Waimate, Waipa, Wairoa, Waitomo, Wellington, Westland, Whangarei. Declined because: The cartons are made from paper, plastic and aluminium. Only some paper recyclers can separate the components or use them to create new materials. 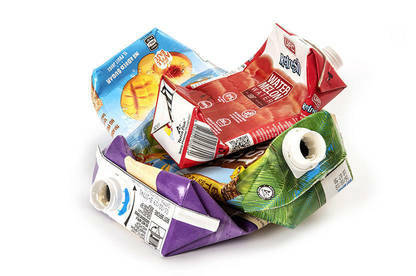 Tetra Pak says it’s “open to” working with councils to boost recycling rates. Until then, if your council doesn’t accept the cartons, they’ll have to go in the general rubbish bin. Declined because: The chemicals inside a battery can be hazardous and must be disposed of carefully. Batteries can cause fires in collection vehicles or the recycling processing plant. 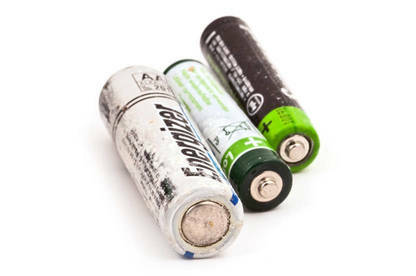 Where they go: Some councils have collection point where you can leave used household batteries, though you’ll have to drop them off in person. Check your council’s website for information. Declined because: The glass used in drinking glasses, plates, mirrors and light bulbs has different melting points to that used in food jars and bottles. 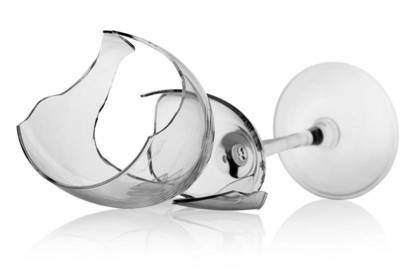 If the former is used in recycled glass, it can weaken the newly produced item. Broken glass is also a hazard for staff handling your waste. Where they go: In the general rubbish bin. If it’s broken, wrap it up in newspaper. Declined because: Juices from raw meat or food soak into the trays, and can harbour infectious bacteria. There’s also little demand for used polystyrene. Where they go: In the general rubbish bin. 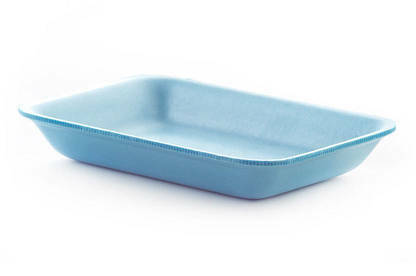 Supermarkets say they’ve replaced foam trays with recyclable plastic packaging for most meat in their butchery sections. Declined because: To make them waterproof, disposable coffee cups can have a plastic or waxy lining. Current paper-recycling facilities can’t handle them. Where they go: In the general rubbish bin. 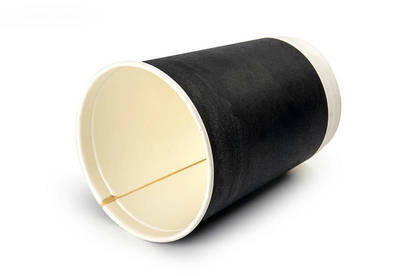 You can reduce your usage by taking a reusable coffee cup. GUIDE Councils that don’t run kerbside recycling schemes are excluded. Private contractors provide recycling services for Far North, Kaipara, Kapiti, Tauranga, Upper Hutt, Waitaki, Whanganui and Western Bay of Plenty council residents. Chatham Islands and Rangitikei council residents only have access to drop-off recycling facilities. Information collected from council websites and inquiries in April and May 2018. 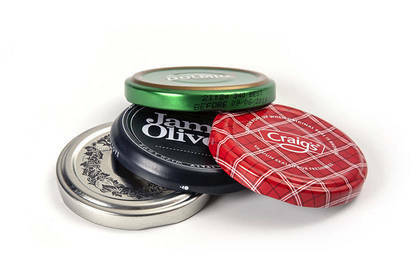 Ajar lids are accepted, but not recycled. Baccepted in small volumes. Crecycled items may be sorted into plastic bags, but bags are not recycled.Donly accept plastic supermarket checkout bags. Carterton, Masterton and South Wairarapa councils do not accept any meat trays for health and safety reasons. Tararua council does not offer kerbside glass recycling. If you move or go on holiday, familiarise yourself with the new council’s recycling rules. There are notable differences even between neighbouring authorities. Keep recycling loose, unless your council specifically says otherwise. 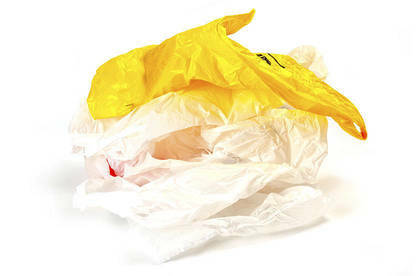 If you unnecessarily group items in plastic bags, the whole lot may be dumped. Thoroughly rinse all items. Excessively dirty items will be sent to the landfill. Paper and cardboard with food residue belongs in the rubbish bin. If in doubt, don’t add it to the recycling bin. Give your council a ring or check its website to find if it’s accepted. Just one “wish-cycled” item could result in the whole load going to landfill. Recycling is only part of the solution. Recycling can feel virtuous, but the best thing you can do for the environment is to reduce the amount of waste you create. Some items are stated to not be acceptable in any roadside bins, but are then said to be acceptable in general rubbish bins. This should be clarified (in the article itself). I'd much rather see this be a compulsory part of the school curriculum than calculus or similar. I've struggled to learn how and what to recycle and how to reduce waste and while everyone 'should' find this out themselves, only a small percentage will. A quick survey around the office shows most adults have no clue including me. Thanks for the article. Does the aluminium collar that remains on the neck of wine bottle when the cap is removed have to be removed? I thought I read somewhere that wine caps did not have to be removed but it doesn't seem logical. Excellent , Thanks for the clarification. No harm in being more informed! I thought I was pretty ok with rules in Christchurch- but wrongly putting in jar lids and leaving out tetrapaks. Thanks for clarifying. Recycling where does it go? Now that China is no longer accepting out recycling. And what is the governments plans for recycling in the future? Re: Recycling where does it go? In your "can and can't recycle article you say "Hutt". Does this mean Upper Hutt and Lower Hutt? Hi Trevor, we’ve used the proper name of the council, so we mean Hutt City Council, which covers the Lower Hutt area. Some councils, like Upper Hutt, don’t run kerbside recycling schemes – instead residents have to choose and pay a private operator. Because of this, these councils aren’t included in our report. There’s a full list of the excluded councils in our Guide. I hope this has helped. This is a very useful article, however it has one thing wrong. The only shopping bags which can go in Christchurch City Council recycling bins are supermarket checkout bags. You cannot put in other soft plastic shopping bags such as those you get from clothes shops or even those used for produce in supermarkets. The only recycling option for these are the soft plastic recycling bins now at many supermarkets. Hi Caroline, thanks for this feedback. We'll try to clarify this issue in our article. Every wk I see bins stuffed with things in the wrong bin, or dumped at the roadside because they are unwanted. Many people are too bone idle to find out what they can recycle, or donate unwanted household goods to charity shops. Hard to monitor, I don't put my bin out the night before because it's never full and someone will dump crap in it overnight. It would be so helpful if this article could be expanded to include other councils. I live in Kapiti but it isn't listed at all. I feel the same as the previous member. I live in Tauranga and the TCC features neither in the "accepted" nor "declined" lists. I am wondering what this says about the TCC. Councils that don’t run kerbside recycling schemes are excluded from our list. Private contractors provide recycling services for Far North, Kaipara, Kapiti, Tauranga, Upper Hutt, Waitaki, Whanganui and Western Bay of Plenty council residents. Hope this helps.